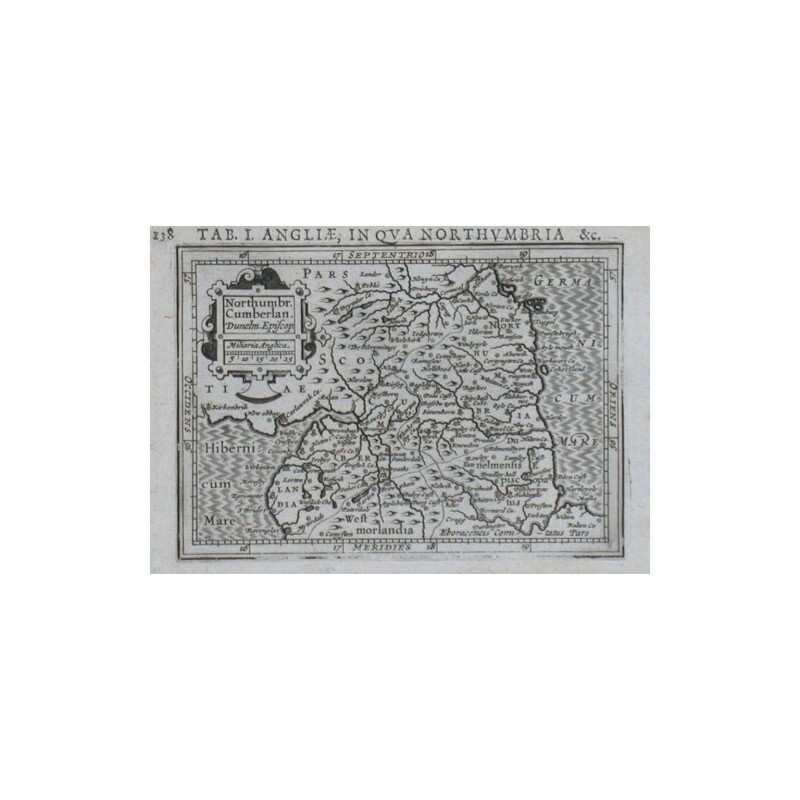 > Antique Maps and Views>Europe>Great Britain and Ireland>Northern England>Nothuumbr. Cumberlan. Dunelm. Episcop. "Nothuumbr. Cumberlan. Dunelm. Episcop.". Copper-engraving by P. Bertius published by J. Hondius, 1616-18. With small ornamental cartouche and "Miliaria Anglica". 9,5:13,5 cm (3 3/4 x 5 1/4 inch.). Koeman III, map 5110:342, ed. 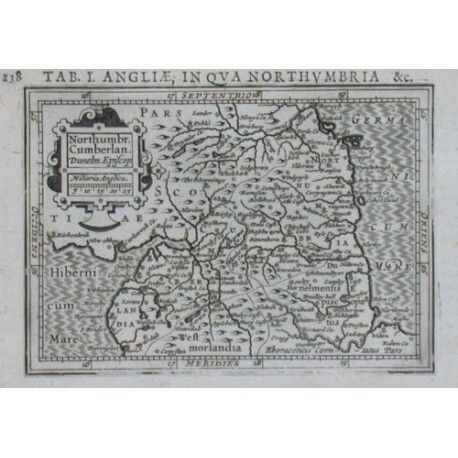 342:01 - Map of Northumberland, Cumbria, Durham, Tyne and Wear.